Home » »Unlabelled » Her parents were shocked when she was born. But what she does with her special daughter is wonderful. 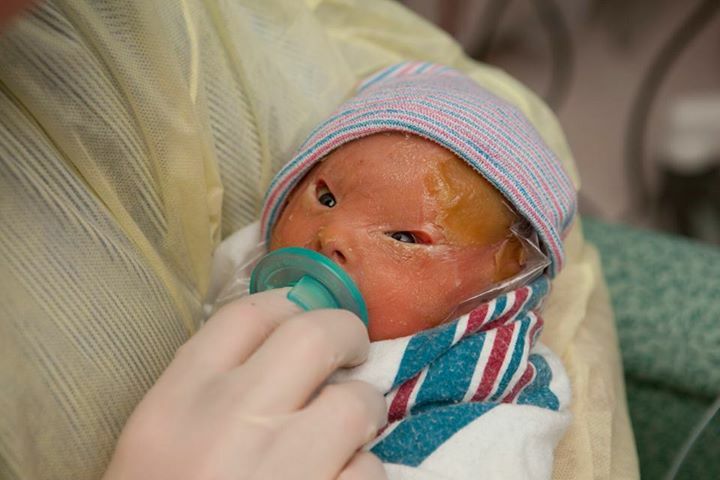 Her parents were shocked when she was born. But what she does with her special daughter is wonderful. This is the story of Brenna, who had one of the most difficult beginnings to life, but was fortunate to be blessed with a wonderful mom and dad to take care of her. Courtney and Evan Westlake lived a happy life with their son Connor. But they were of course delighted to learn that their lives would once again be occupied with lullabies, baby blankets, and recording first milestones. Like all soon-to-be parents, they were chomping at the bit to see the first ultrasound pictures. They were ecstatic each and every time they saw new pictures, reassured that everything was going well. A few months into the pregnancy, they were given the news that they would be having a girl: Connor was getting a little sister! The young married couple were overjoyed and began to anticipate all the girly fun that was about to enter their lives. “I’m not going to braid her hair!,” laughed Evan. 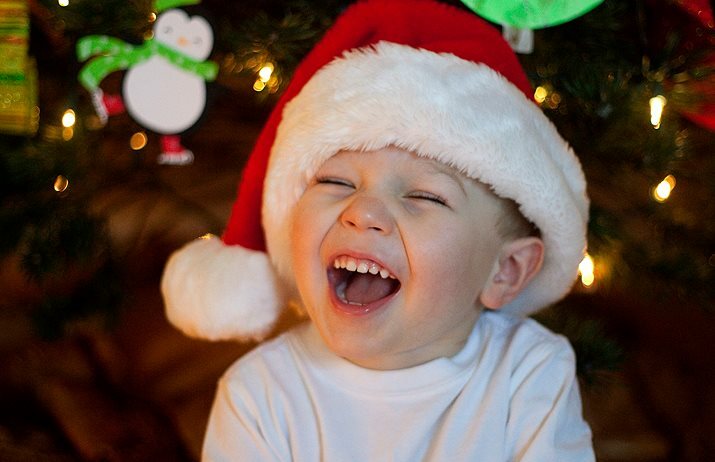 The big day arrived, and just a few weeks before New Year’s, their little girl was born. But all immediate plans for introducing their new baby to her home were shattered instantly. Their newborn daughter Brenna had to be rushed to intensive care. She wasn’t moving, had an extremely high body temperature, and was covered in wounds all over her body. 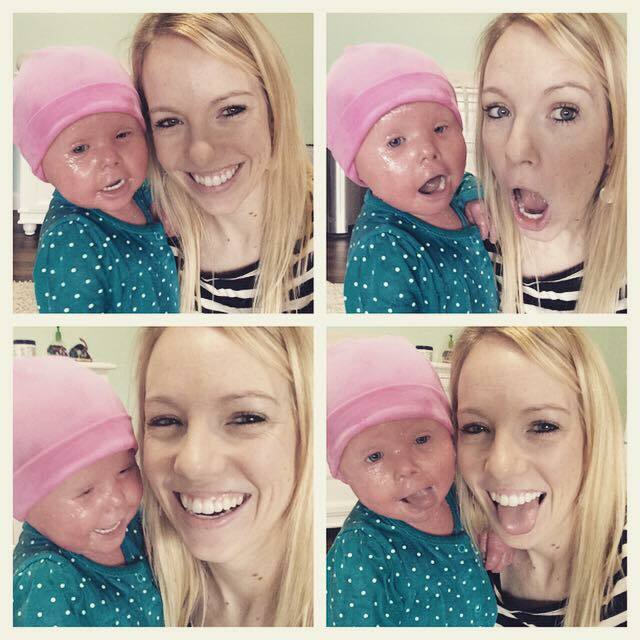 Brenna was diagnosed with a serious hereditary disease called Harlequin Ichthyosis. Her skin grows too quickly, leading to a distinctive scaling and reddening on her whole body. 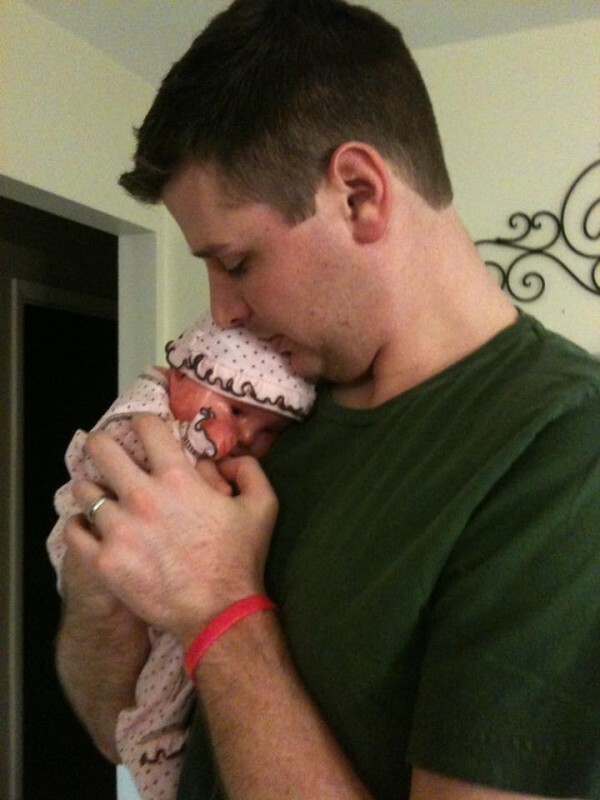 Courtney and Evan were only first allowed to hold their daughter two weeks after her birth. From then on, their daughter’s skin had to be treated daily. Next to the physical challenges, Courtney recognized immediately that their young daughter had a difficult emotional journey ahead of her. Whenever she goes out with her daughter, Courtney encounters pointing, loud comments, or rude questions, which makes her very sad. And not just for her own daughter. She can understand other children's natural curiosity, since her daughter's appearance is so unique. But what upsets her more is the reaction of parents. They push their children away as quickly as possible, hold their mouths closed, and tell them to be quiet. “Why do they make the distance between us so insurmountable? Why don’t they take us as a positive example for learning that others look different, but it’s not always bad?,” she asked. She said she prefers to be spoken to by other parents and to participate in their conversations about her daughter. She is unbelievably proud of the sassy little girl who doesn’t let anything get her down. 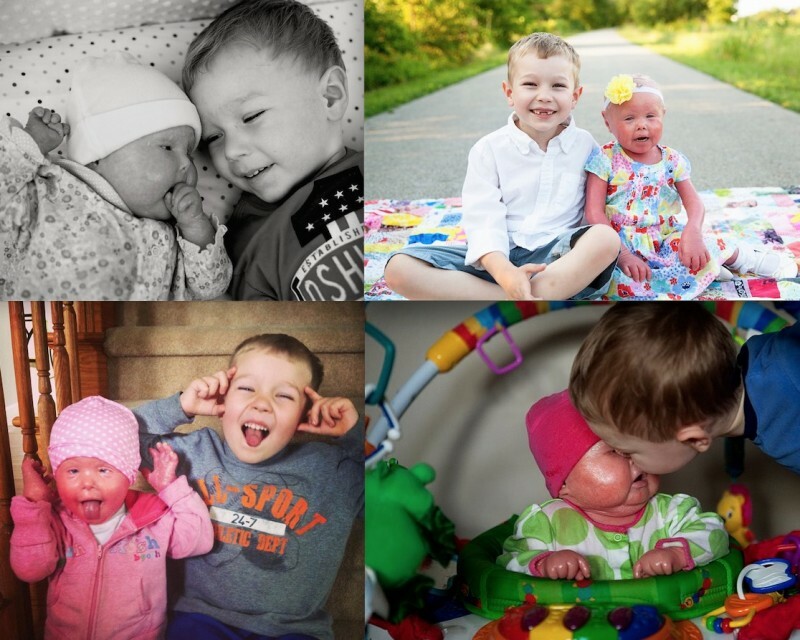 She's not Brenna's only fan either; big brother Connor just adores her. Keeping with the family consensus, Brenna’s father Evan is rightfully proud of his little daughter. And every evening, Courtney gets to witness an indescribably beautiful scene between father and daughter as Evan bathes Brenna as part of her treatment. The same man who jokingly said he would never braid his daughter’s hair strokes her very gently, yet firmly, with a wash cloth to wash her sparse blonde curls. He repeats the whole procedure patiently and steadily. 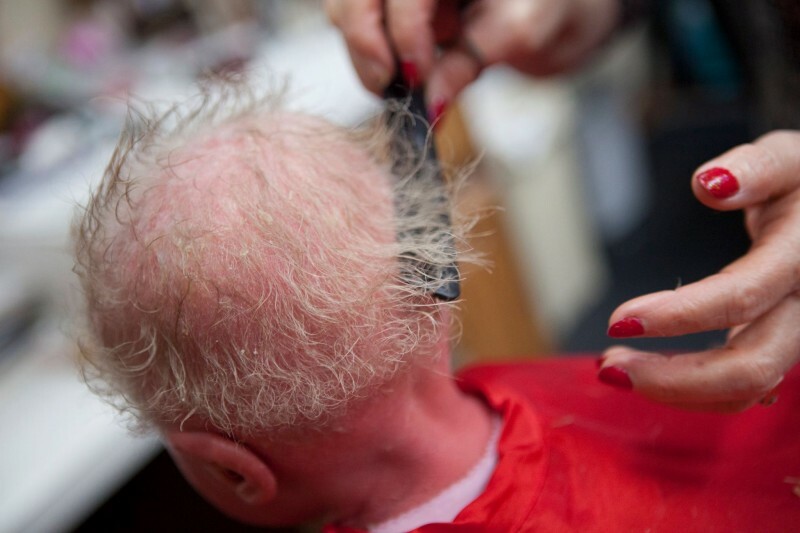 One of the effects of the constant bathing and exfoliating of the excess skin required to manage this unique condition is that it is very difficult for those affected by the disease to grow hair. However, due to Evan's efforts, Courtney's hair has actually grown quite a bit. And this detail hasn't gone unnoticed; the little girl touches her hair proudly. Her parents have come to realize that their daughter can do anything she wants, even if nothing has happened as they imagined. Courtney regularly shares Brenna's story in her blog, Blessed by Brenna, and has even written a book called A Different Beautiful, published in August 2016. She hopes that it helps others to understand and to celebrate people who look different. If you've been moved by this story, feel free to share it with friends, or if you're intrigued to learn more about Brenna and her family's inspiring journey, maybe you should put Courtney's book on your reading list!